Sharing economy is an interesting model for business as usual to develop new products and services for a community of users. But what does it mean to adopt a sharing economy model? 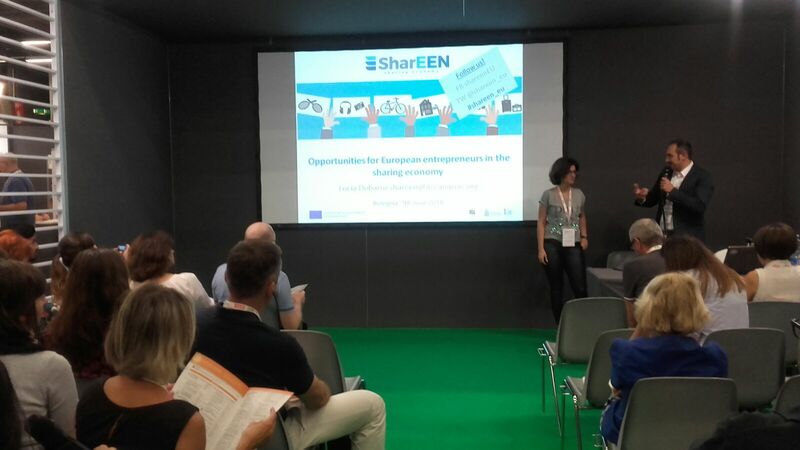 On June 7th, an event during the 13th edition of the International Exhibition on Industrial Research and Skills for Innovation was organised to show the opportunities and limits of the sharing economy model. CAN SMEs GRASP OPPORTUNITIES OFFERED BY THE SHARING ECONOMY? 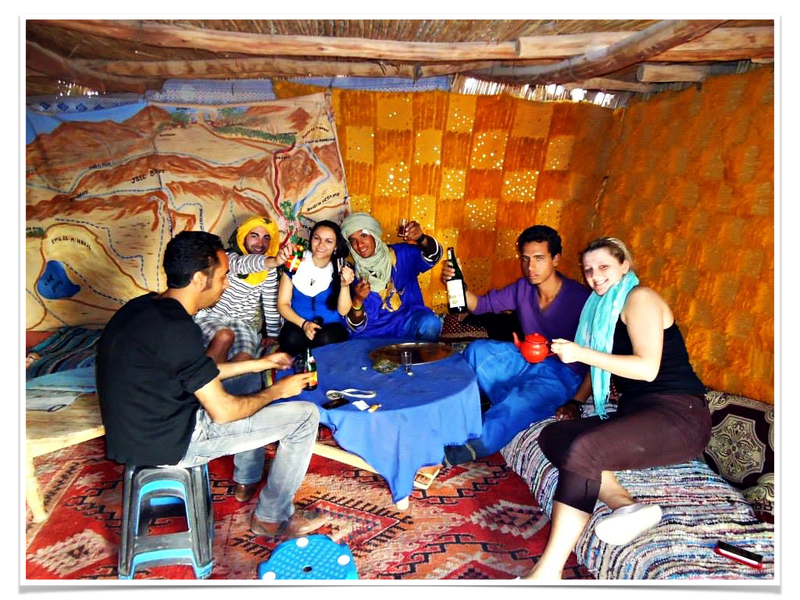 My first memory of using a sharing economy service was in 2011 when I travelled with two friends to Morocco. We used the service platform Couchsurfing, a free home sharing service; a company that considers itself as part of the sharing economy. People can share their homes hosting guests who want to experience another culture. Most of the time, hosts also wants to get to know others’ people culture, exchanging experiences or just be part of a community that helps each other explore the world. Back to my experience, I definitely didn't know that the platform service was even a new way of doing business or a new re-significance of society with a label. I haven't linked the home share activity to any sustainability benefits to the current or future generation, such as idly capacity. This is just one of the business models related to the sharing economy. The phenomenon is also referred as collaborative economy, and collaborative consumption. Nowadays, people are still unsure about the new economy definitions, how it operates, what to expect and how we can all benefit from it. The good news is that we (entrepreneurs, cities, regulators, costumers, workers) as a society are all learning on the way. MAYBE YOU ARE READING AND STILL WONDERING - WHAT IS “THE SHARING ECONOMY”? Although the sharing economy does not have a single definition, researchers Juho Hamari and Mimmi Sjöklint, explain that the sharing economy is a based activity of obtaining, giving, or sharing the access to goods and services, coordinated through community-based online service. Another way to describe the phenomenon is from Rachel Botsman lens. She is a specialist on the topic, who states that collaborative consumption enables people to realize the enormous benefits of access to products and services over ownership. “Every day people are using Collaborative Consumption, traditional sharing, bartering, lending, trading, renting, gifting, and swapping, redefined through technology and peer communities” Rachel Bostman. In the last 12 years, we've seen the rise of the sharing economy and as Dr. Juliet Schor, a professor at Boston College described in 2006 "there is great diversity among activities as well as baffling boundaries drawn by participants". The fact is that nowadays diversity still remains when it comes to this phenomenon, definitions, activities, policymakers, fair redistributions of power and wealth, data security, trust issues, labor lacks right, sustainable consumption, and I may not have covered all areas affected by the new economy here. The truth is that besides the consequences that the new digital economy brought, we can't ignore the benefits to consumers, entrepreneurs, cities, and communities that can also be seen. The World Economic Forum called it in December 2017 as the sharing of underutilized assets, monetized or not, in ways that improve efficiency, sustainability, and community. ARE YOU TAKING ANY BENEFITS FROM THE SHARING ECONOMY AS A SME? The sharing economy is improving SME access to markets by offering opportunities for businesses to benefit from a variety of resources they might otherwise struggle to afford. For example, when sharing resources in transport and delivery services, using service offices like co-working space that normally covers fees and licensing, it has financial benefits that optimize for efficiency, or even to access on-demand support services in skills like accountancy, consultancy and administration, it's a crucial opportunity to outsource. The global companies, such as Airbnb that share extra spaces; rideshare app services like Uber, Cabify, or Lyft which improve car utilization; task services leverage unproductive hours. In this digital economy, people may act as providers of services or as consumers of assets. Tourism is one of the key areas that benefits from the sharing economy, as locals share homes, cars, tours, and meals with tourists. Entrepreneurs are creating business models that drive this new way of making markets more efficient and extend employment opportunities. Sharing is not a new thing, what is new here is that people are placing trust in technology to support the sharing economy. To reach a sustainable economic sharing economy ecosystem, we must remain alert and aware of opportunities, benefits, and consequences of the new phenomenon. Innovation even when it is incremental or radical brings uncertainties and risks, but I believe that if we care about what is happening around us, we can also continue learning how to share. I am on this mission of helping you to get to know more about the sharing economy. So, if you find it useful, please share it with others whom you think might like it. Every month, I pick a question from readers and answer it as honestly and helpfully as I can. Hamari, Juho., Sjöklint, Mimmi. 2015. 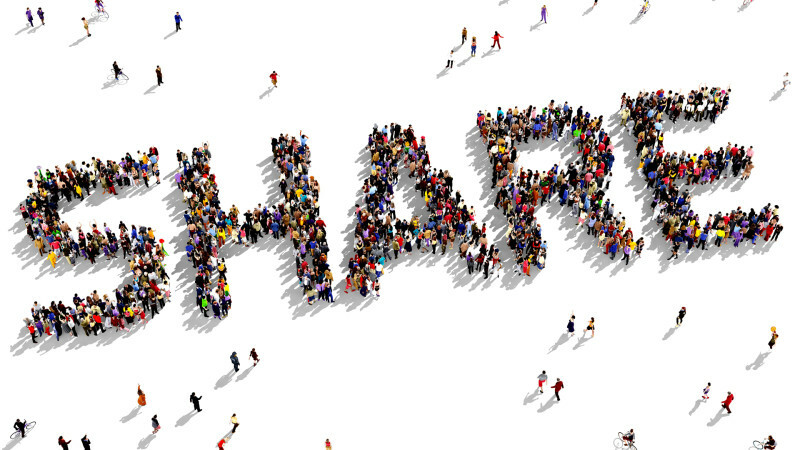 The sharing economy: Why people participate in collaborative consumption. Journal of the Association for Information Science and Technology. 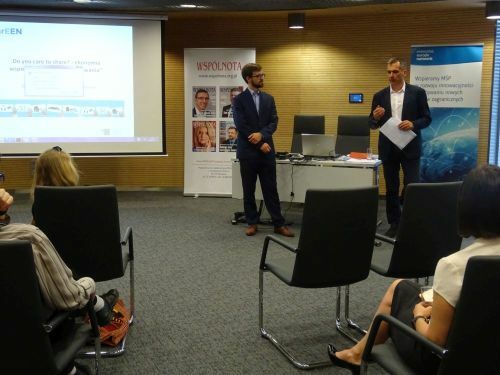 The event under the name “Rent or own”, Trends of the shared economy in Slovakiatook place in the Slovak Business Agency in Bratislava, (Slovakia) on Tuesday, May 22. Audience consisted of numerous initiatives and collaborative economy platforms of the shared economy. From representatives of companies dealing with the shared economy, students, police makers even to universities´ teachers have come to hear and discuss about the new trend of economy called “shared economy”. On 15 June 2018 took place a panel meeting organized by Lublin Development Foundation under the name: “Do you care to share? - sharing economy, trends and challenges" as a part of the International Conference & Expo "SMART ECOSYSTEMS", 14-15.06.2018 www.smartecosystems.pl. 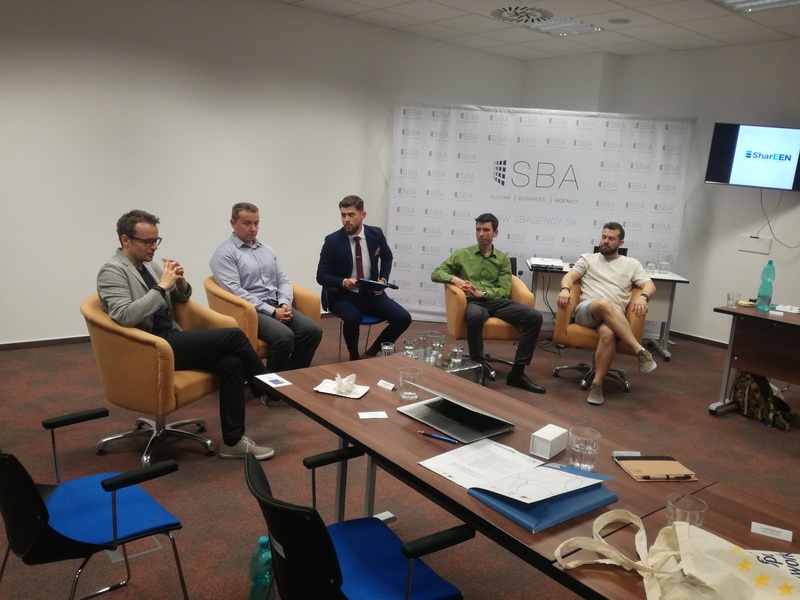 During the meeting was hold a discussion on the trends, social added value of the sharing economy platform in local ecosystems and modern business models for startups – how to run a business effectively. There were few success stories presented, i.e. Uber, Pozamiatane.pl, Panek CarSharing. At the beginning of the event Cezary Pasternak (Lublin Development Foundation) presented the SharEEN project, its assumptions and benefits. The partners meeting of the SharEEN project took place in Bolonia on June 6th, 2018 at the ASTER head office. The project aims to identify and link-up with collaborative economy platforms, exchange experience with all relevant stakeholders and help European SMEs, social enterprises and other relevant actors to exploit the opportunities offered by sharing economy. 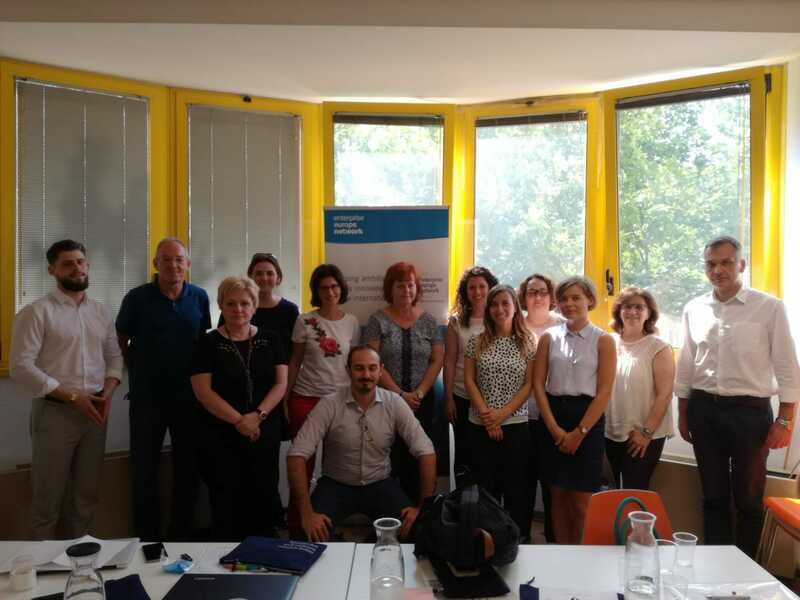 In particular, the project aims at building knowledge and capacity among EEN partners ‘staff and other stakeholders on sharing economy, and help them define and deeply supporting services for their SMEs.